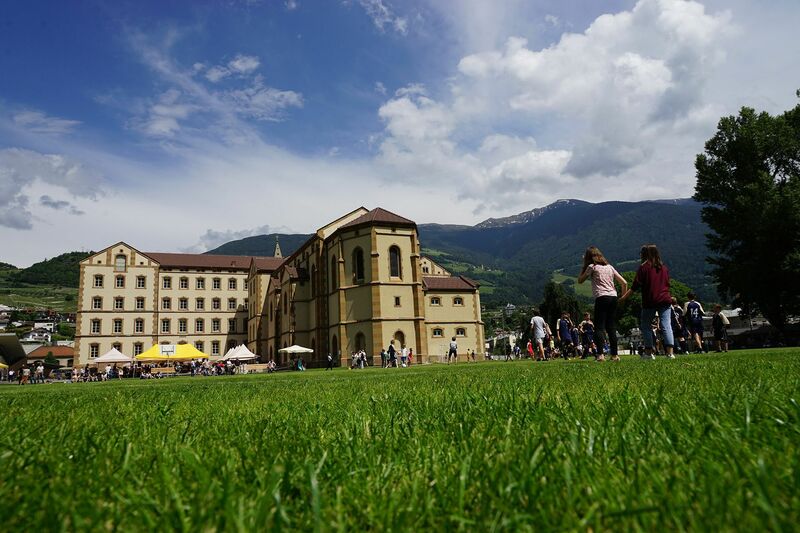 The Vinzentinum in Brixen (South Tyrol) is a state-recognized German language school run by the diocese Bozen-Brixen. It was founded as a minor seminary in 1872 by Prince-Bishop Vinzenz Gasser and subsequently named after him following his death in 1879. The Vinzentinum offers a middle school with standard curriculum and a humanist high school. In addition, the middle school offers a focus on music. The school offers both boarding and day attendance for girls and boys. During summer holidays the Vinzentinum opens up its gates to accomodate guests.